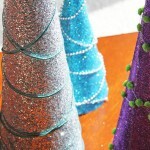 Could these centerpieces be any simpler to make? All you need are a few pieces of paper, a few jars that have been lying around your house, and some tape! Add an appliqué or a band of ribbon to break up strong lines or patterns on the paper sleeve. Cluster multiple jars of different heights for a more elaborate—but still super easy—centerpiece. 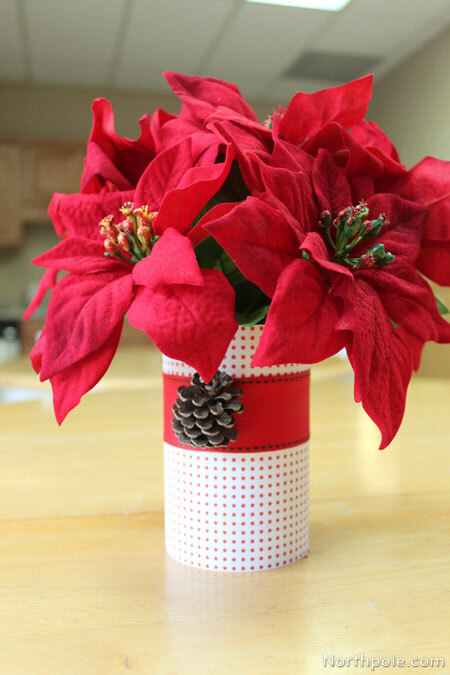 Swap out the paper for any holiday, and wow your family and friends with your craftiness! 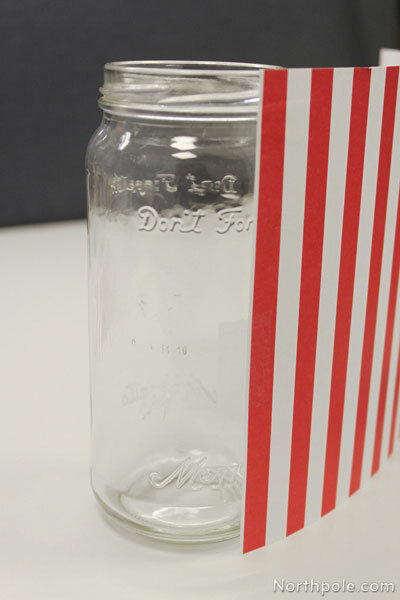 Use ruler to measure the height of the jar. Stand jar on flat surface. 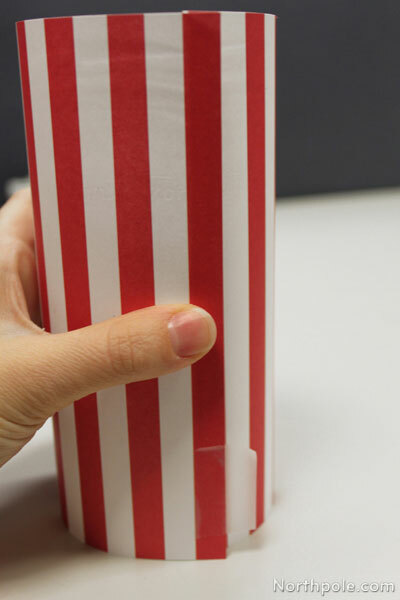 Roll paper around jar and align the edges. Unroll slightly and tape edge of paper to the jar. Wrap paper completely around the jar and tape. Add a sleeve treatment and fill with flowers. See sleeve treatment ideas below. 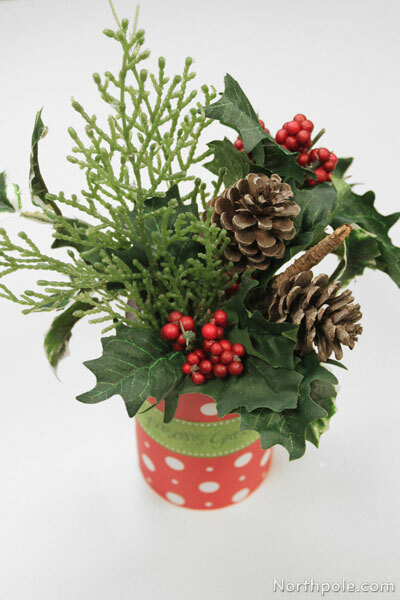 Use wire cutters to cut artificial flowers and/or greenery to desired length. Arrange flowers and greens in jar. Cut additional stems, if necessary. 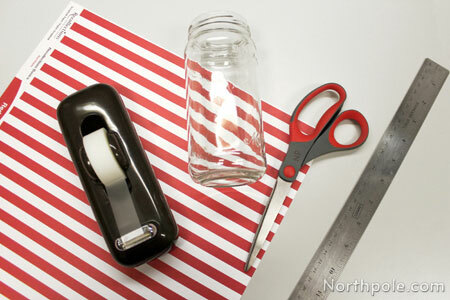 Cut a piece of ribbon that is long enough to wrap around jar + 1" to overlap. Take the pinecone and remove some petals to create a flat surface. 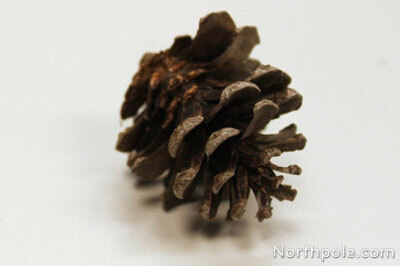 Only remove petals from the lower part of the pinecone, so that the top of the pinecone is still intact. 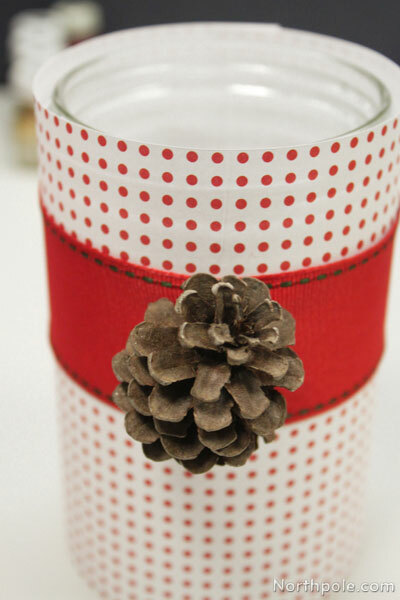 Use hot glue to attach the pinecone to the middle of the ribbon, putting the glue on the flat part of the pinecone. 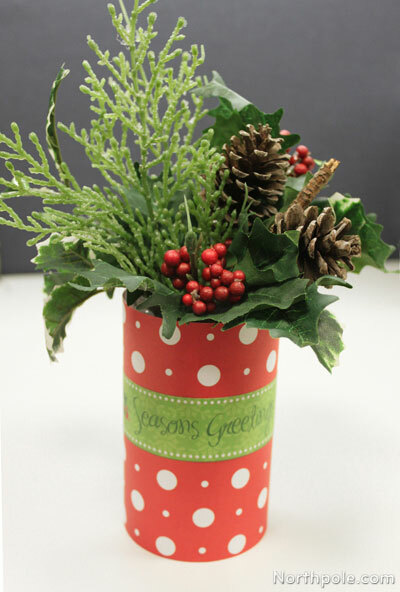 Apply a small amount of hot glue to one end of the ribbon and stick it to the jar. Wrap ribbon around jar gluing in a couple spots to ensure that the ribbon will not sag. Fold the other end of the ribbon under slightly and glue in place. Take another piece of scrapbook paper and cut out a strip with words or a design. Use glue or tape to hold in place.